Congratulations to Anselm and Mrs. Anselm on the birth of their new baby boy, Thomas Joseph, who came into the world yesterday in an Austrian hospital. Blessings to the Anselm family on this joyous occasion! 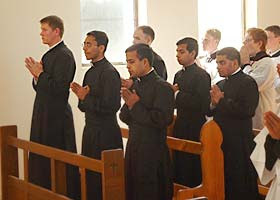 In the recent Vatican report on the state of United States seminaries, the Apostolic Visitation reported that though there were some areas that needed improvement (specifically knowledge of patristics and a better understanding of the place of the priest in the Church), the United States seminaries had shown a marked improvement since the previous two decades and that they were "overall" sound. However, one area of concern cited by the report and that stuck out to me as well was the statement that a great many of today's seminariams say they come "from backgrounds with little faith experience or knowledge of Catholic doctrine" (source). Now that is very interesting. Becoming a priest is a huge commitment, perhaps the greatest any man can make on this earth. It is a vocation that takes as many years of study as a medical doctorate, takes up one's entire life and goes on into eternity. It also means, eschatologically, that the priest will face a stricter judgment and be held to a more rigorous standard by God: "Let not many of you be teachers, my brothers, knowing that we will receive heavier judgment" (James 3:1). Becoming a priest is no light matter. Therefore, why would so many seminarians come to the priesthood with "little faith experience or knowledge of Catholic doctrine"? What would possess them to say, "Wow, this is an almost superhuman commitment that is often full of perils and snares and gives little reward on this life. Well, I don't know anything about it, but it sounds good to me!" How is it that we get seminarians interested in making this commitment with little knowledge of Catholic dogma? I think there are two answers for this. First has to do with the nature of modern ecclesiology. I think a great many of these men, though they may lack intellectual and dogmatic formation, feel an intense desire to serve. They may believe that the Catholic Church and the priesthood especially is entirely about service, and therefore desire the priesthood as a means of serving and helping their brother. In such a scenario, doctrinal elements would take a backseat, and indeed could even be perceived as a stumbling block to true service. I'd imagine this is how we get a lot of the social justice types in the priesthood. Their ecclesiological concept is more weighted horizontally than vertically, to use the common expressions. The second element I think has to do with admission procedures within the seminary system. I know nothing about the internal functioning of a seminary, but I am going with a hunch here. It can't be the case that nobody but social justice horizontalists show up as candidates for the priesthood. 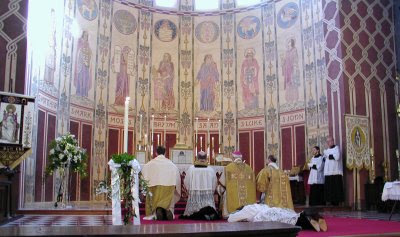 In any Diocese I'm sure there are plenty who come with a real understanding of the Church's ecclesiology, wanting the priesthood not only as a means to serve (which it certainly is) but also as an answer to a call - a call to worship and adore God and sanctify souls by being dispensing the sacraments and offering the Sacrifice of the Mass. Now, I think that in many seminaries, these applicants are given a much shorter shrift than the horizontally focused social justice oriented ones. In short, I think many seminaries weed out doctrinally minded priests in favor of socially oriented ones. I know a lot of work has been done in this area and I'm sure that this does in fact happen: the orthodox seminarian is rejected for rigid inflexibility while the doctrinally questionable but amiable social justice type is admitted, thus tilting the demographic of the seminarians. The thing I don't know about is how much is this a formal mandate from some seminaries that is carried out methodically as a matter of praxis and how much is it an unspoken, unwritten bias that works itself out in the personal likes and dislikes of the Director of Seminarians? Well, praise God we have seminarians! But if you want to solve the vocations crisis, start promting an ecclesiology that is vertically oriented on the worship of God and less on social service and I guarantee the problem will be solved within a decade. Anselm's wonderful quotes from different Magisterial documents on ecumenism really got me thinking about a topic that is not quite ecumenical in the strict sense but which is affected by many things pertaining to ecumenism, and that is the Charismatic Renewal. But at any rate, that is really just food for thought. When I first returned to the Catholic Church, and even before, I started to feel a certain shallowness in the charismatic (Protestant) churches I had been attending, because it seemed to be based too heavily in emotionalism. I was thrilled when I returned to the Catholic Church to dive into the Church's rich intellectual and spiritual traditions, and to be able to study and grow my mind on stuff like Augustine and Thomas while being able to learn quiet contemplation at the feet of Teresa and Therese. 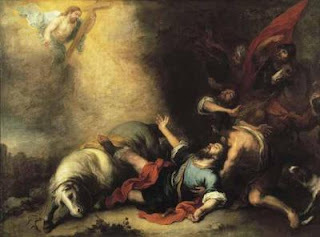 In Catholicism, there is a perfect union between the active and contemplative, between intellectual and spiritual, between Peter and John, between flesh and spirit; it is a union that allows the devout worshipper to be a whole person and to truly find their own humanity even as they subject it to God's will. It was in the middle of this new revert "high" that I first came in contact with Catholic charismatic practices through a "Life in the Spirit" seminar. I was shocked that such things existed in the Catholic Church, because as a baby Catholic coming out of Protestantism, I naturally (and I think somewhat rightly) thought of charismatic worship as a "Protestant" thing. I was surprised to find out that with all of the rich liturgical, intellectual and hagiographical traditions of the Church that there was anybody who was looking "outside" of this Catholic Tradition for anything else to supplement it. I dallied with the Catholic Charismatic Renewal a little bit, but found it unsatisfying and kind of wimpy (again, coming out of Pentecostalism, the charismatic worship of the Catholics seemed forced and inorganic - at least the Protestant Pentecostalism was more harmonious with the nature of their faith as a whole). There was something of a unnatural union in the idea of Catholic charismatic worship. Now, as my pastor did when he recently preached on this, I am going to have to toe the line here and say that, yes, the charismatic renewal is a legitimate expression of Catholic worship and the Pope has in some way sanctioned it. But here is my real problem with it - the reason why while not outrightly rejecting it I have nevertheless been uncomfortable with it. The Charismatic Renewal is, in the last analysis, a spirituality from outside Catholicism that has been transplanted into it in recent times. This is where I take issue with some of the official or semi-official sanctions of the Renewal by the Magisterium. If the Magisterium wants to sanction this spirituality, then that's fine with me. That is it's perogative. But I question the grounds upon which it is sanctioned, and what I mean by this is the very tenuous attempt to connect the modern charismatic movement with the charismata and worship experienced by the first Christians. Sure, the Church has never lacked charismatic gifts. 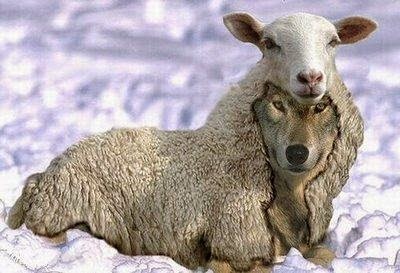 That's obvious, but we are fostering a tremendous falsehood on people if we are trying to somehow connect modern charismatic worship with the charismatic gifts of the Church, simply because of the common use of the word charismata. I am much too busy to do all the research and cite the documents now, but if you look at John Paul II's letters endorsing the charismatic movement, you will see that they are based on a loose association of the gifts of the Holy Spirit and the charismata of the Early Church with the alleged charismata manifest in the Charismatic Renewal. It is almost like he wanted to say "Yes, this is Catholic, and it is essentially Catholic; i.e., it has always been a part of Catholicism." One example I can give you is from his address to leaders of the Renewal on December 11, 1979. In that address, he made the statement that, "I am convinced that this movement is a very important component of the entire renewal of the Church" (source). I am not against saying that there is an important role that charismatics can play (as JPII said ), but is it going a bit far to say that this movement is a central component of the renewal of the entire Church? At the heart of a world imbued with a rationalistic skepticism, a new experience of the Holy Spirit suddenly burst forth. And, since then, that experience has assumed a breadth of a worldwide Renewal movement. What the New Testament tells us about the charisms - which were seen as visible signs of the coming of the Spirit - is not just ancient history, over and done with, for it is once again becoming extremely topical [Renewal and the Powers of Darkness, Leo Cardinal Suenens (Ann Arbor: Servant Books, 1983)]. Here we see what I was talking about - a mention of the Charismatic Renewal followed by an immediate connection with the New Testament, as if the type of charismatic stuff we see now that had its origin in the 1960's is the exact same thing that was going on in the New Testament! I'm sorry, but that is where I must protest. If you are looking for the origins of the Charismatic Renewal, it is not to the Early Church you must turn but to the 1906 Protestant Azusa Street Revival in California. Charismatic worship, as it is practiced today in the Catholic Church, is fundamentally Protestant and foreign to Catholic spirituality. Perhaps some Catholics want to deceive themselves and pretend that the Early Church or some of the saints were doing the liturgy the way some charismatic churches now do it, but it simply isn't so. Protestants don't lie to themselves on this issue, and most Protestants who are aware of Catholic charismatic liturgies applaud it as an introduction of a certain element of Protestantism into the Catholic Church. The website of the Azusa Street Revival says it plainly: "Every Church member that is charismatic of pentecostal has roots that stem from the Asuza Street Revival" (source). It should be made clear to them that, in returning to the Church, they will lose nothing of that good which by the grace of God has hitherto been implanted in them, but that it will rather be supplemented and completed by their return. However, one should not speak of this in such a way that they will imagine that in returning to the Church they are bringing to it something substantial which it has hitherto lacked (II). Yet this is exactly what we see with the Charismatic Renewal: a spirituality modern in its origin and fundamentally Protestant, hidden under a thin veneer of Catholicism and adopted whole-heartedly by the Magisterium which acts as if we are in dire need of this Protestant movement. I do not doubt or deny the orthodoxy or fidelity of Catholics involved in the Renewal - the charismatic parish down the road from us gives out more seminarians every year than all the other parishes in the Diocese combined. But I do take issue with any idea that says that the Catholic Church, as it has traditionally existed, lived and prayed, is somehow deficient in the means it gives to people for their sanctification and that something "new" ought to be infused from the outside in order to renew it. As far as I can see, this idea is heresy, because all the means of grace and sanctification given to man are found within the Church and her sacraments as expressed in her traditional devotional life. While I applaud the makers of this video for their desire to promote life, I have to say that this is not the best or strongest argument against abortion, the fact that a child from a broken family can grow up to be president despite overwhelming odds. In college Ethics class, I recall this was addressed as the “Beethoven Argument” against abortion, an argument which while seeking to give a good Pro-Life argument on the one hand actually ends up damaging the Pro-Life position through the back door. Maj. Premise: Any child could grow up to be the next Beethoven (or find a cure for cancer, or whatever). Min. Premise: If we kill that child, we may deprive the world of its next great genius or leader. While this argument (logically at least) is true, it is based on a false premise: that the most important determining factor in whether or not to terminate a pregnancy is the potential of that child in the world. It is a utilitarian argument, because it backhandedly seems to say that only the possibility of a child growing up to be successful is relevant to whether they should live or die. I know the makers of this video do not believe that. I know they are well intentioned. But the fact of the matter is, if we ever argue against abortion based on utilitarian factors like what a child could potentially do for society, we are arguing from a foundation of sand that fails to take into account that the dignity of the person comes from who they are not what they do. I have gotten a lot of comments on my post from last week on courtship and dating that took issue with my statement that love was not necessary for the sacrament of marriage. I feel that I must clarify this position and address some criticisms of it. When I say that love is not necessary for marriage, I emphatically do not mean that true love (charity) is not requisite to have a happy marriage, or a good home, or that it is not commanded by Christ, not only to our spouses, but for everyone. In fact, it is indeed commanded by St. Paul in the context of marriage ("Husbands, love your wives"-Eph. 5:25). So, I am definitely not downplaying the importance of love in a marriage. But it is nevertheless true that sacramentally, love is not necessary to bring forth the sacrament of marriage, which is the point I was getting at. The sacrament of marriage can be brought about without love. All it that is required for the form and the matter is a Catholic man and a woman free of any impediments, public vows, and a witness of the Church. That is the nuts n' bolts of a sacramental marriage. So, while I agree that love is essential for the practical working out of a good marriage, I maintain that it is not necessary in the least way for bringing about the sacrament of matrimony. I don't think this needs any "proofs" but I will submit two. First, if we look at annulments (and yes, we all know they are abused) we will see that an annulment regards impediments to marriage that were in place at the time the marriage was celebrated, so that though the couple thought they were getting married in good faith (i.e., putative marriage), they were in fact not getting married at all due to the presence of an impeding or diriment impediment. Now, if "lack of love" was essential either as matter or form to bring about the sacrament, then "lack of love" or "He didn't really love me" would be grounds for an annulment. Of course, even in our modern Church where annulments can be granted for a variety of reasons, lack of love is not one of them. This may be an element in the "psychological" reasons for an annulment, but this alone is not grounds for an annulment and never has been. Therefore, since lack of love cannot annul a marriage, we have to assume that love is not (strictly) necessary to bring the sacrament about. Second, if love were requisite for the sacrament, none of the world's many politically arranged marriages throughout history would have been valid. Consider in the Middle Ages, where a monarch might bargain with another monarch and receive the other king's daughter in marriage. He would have never seen her, and even the marriage itself was contracted over long distance, via a proxy (an odd rite where the king would ceremonially lay down in bed with a minister of the other family to symbolize comsummating the marriage). The King would meet his new bride for the first time after they were already married legally and sacramentally and then would proceed to consummate the union with a woman who was practically a complete stranger. This was the norm for Christian marriage among the upper nobility in the Middle Ages and Early Modern Period, a type which everybody, including the popes, recognized as valid. For example. Pope Julius II regarded the marriage of Arthur Tudor to Catherine of Aragon as valid, though the two had never met and were married by proxy. If love were a strict requirement, the pope could not have done this. There is, however a degree of fidelity or truthfulness that is required to bring about the sacrament. The vows have to be said in good faith, and the vows of course state that the man promises to love and care for the spouse. We must notice something: in the vows, the man swears that he will love his wife, not that he already does. And how is the love to be manifest in these vows? By what comes next: in swearing to take care of her, defend her, care for her in sickness and in the raising up of children, etc. In other words, this love is presumed not by the affection that the husband bears the bride, but by the practical things he promises to do on her behalf. So long as the husband promises these things in good faith, the sacrament occurs. But let us not confuse the promising of the things with the things themselves. It is necessary that the hubsand and the wife vow to care for each other in love (which is seen in this sacrament as the practical supporting of each other's physical needs and the raising of children), but it is not necessary that they possess that love at the time of the ceremony. 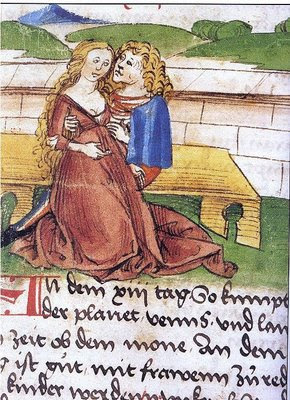 In fact, the marriage rite's conception of love is very different from the modern idea of love as an emotive affection ("romantic fondness"). Therefore, traditionally speaking, it is possible for the paradox to arise of a man loving his wife but not liking her, because his matrimonial love is manifest in the tending to practical and material needs. Now, let me be frank about something historically: it was always seen as ideal and beneficial for the spouses to have true affective attachment to each other. That was seen as a given. You get married, go off with your spouse and learn to love and cherish them as time goes on. However, people who married "for love" were considered to be fools, ignorant of how their union would affect their later lives. If someone did have a marriage for love that worked out well, it was considered a happy (but rare) occurrence. Thus the sister of Henry VIII, Mary Tudor, when she married the Duke of Suffolk Charles Brandon for love, was considered rash and foolhardy, and Henry even considered prosecuting against her for marrying without his consent. 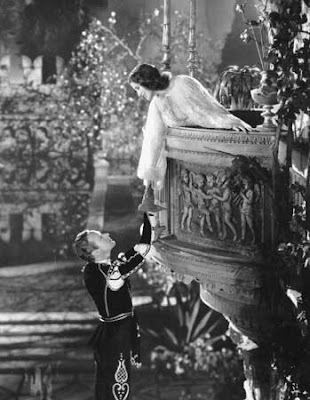 But he later relented and Mary and Charles had a happy marriage - that is not unusual, but we must look at how it was perceived, and the people of the day perceived their union as extraordinarily fortuitous, for usually such unions "for love" wound up ruinous, as in Romeo and Juliet, for example. Obviously the play is not a true story, but it demonstrates how people thought: though romantic unions for love were passionate, enticing and sometimes envied, in the end (it was thought) they were bound to turn out poorly. Therefore, yes, of course we want to have love in our marriages. I never insinuated otherwise. But however much we may want to exalt marital love, we are bound to admit that strictly speaking, it is not necessary to bring about the sacrament of matrimony. This was pulled off the Catholic Answers Forum and sent to me - it is entitled "Definition of a Trad." Take it with a grain of salt; it's meant to be humorous. Thanks to Mr. S for sending it to me. A traditional Catholic is not a person who "prefers" the old Latin Mass. Neither are they people simply passed Catechism class. Truthfully, it's easier to describe their outward signs than their character: the old Latin Mass is the biggest identifier... though there are certainly traditional Catholics who are marooned in Novus Ordoland; there are likewise non-traditional Catholics who go to the TLM. Trads are people who listen to Catholic Radio... skeptically. They might have a blog. They can list their "top-five" favorite Ecumenical Councils... none of which will rhyme with "Attican Shoe". Their friends think they're fuddy-duddys. They've got Holy Water fonts in all the bedrooms and by the front door. They quote the Douay Rheims bible. They have an opinion on offering Mass in baroque vestments while in a gothic chapel. They're tired of tinfoil hat jokes. They may not like Bishop Williamson, but concede that sometimes he's right, and when he's right, he's really right. They can tell you about Assisi. When they're at a Novus Ordo Mass, they've got their hands folded like a Catholic during the Our Father. The women have an extra mantilla in the van-- just in case. The men have an opinion on the best type of pipe tobacco for any occasion. The boys have their own cassock and surplice hanging in the closet. The girls know how to play Dies Irae on the organ. They wear a t-shirt while they go swimming so their brown scapular doesen't float away. They're willing to drive an hour to go to Mass... every Sunday. They know the confession times of at least 4 churches. They invite priests over to play cards and smoke cigars. They pray to saints that you think may not really exist. They ask you to finish the sentence when you say "John Paul the Great"... the great what? They might own a live chicken. When they're at a Novus Ordo Mass, everyone watches them to figure out why they're hitting themselves during the "Lamb of God". They're kneel after Mass to pray... and miss out on the fun gladhanding with Father by the parish gift shop. They scoff when they pass the Masonic Lodge. They cross themselves when they pass a Catholic church. They mutter something about the "poor souls" when they pass a cemetary. They mutter something about St. Michael when an ambulance passes them. Their girls' first names are Mary. Their boys' middle names are Mary. Cappa Magna doesn't sound like a drink at Starbucks to them. They'll tell you at length why being "charitable" isn't always being nice and friendly. (1) All of the following is my opinion only. I do not profess it to be the Church’s ideas or even anybody’s ideas but my own. They are just my opinions, formed by a historical study. (2) I have to warn everybody, my opinions on this issue may diverge from several commonly accepted notions, even notions accepted within the Traditionalist and Homeschooling communities. My opinions on courting/dating and marriage are simply part of a larger worldview, which I am not at this time able to clearly articulate for various reasons. However, because I am going to in this post threaten some sacred cows, I anticipate getting some disagreement. So be it. So first, let’s come to terminology. Wooing a female. Well, it does not matter one bit to me what you call this process. Some homeschool parents get all bent out of shape about the terminology. My child will not “date”; they will “court.” Okay, well what really matters is the substance of what is going on at these liaisons, not what you call them. You can call it courting, dating, keeping company, going steady, (or, my mother’s annoying phrase from the 1960’s, “going with”), or whatever you want. Don’t get all upset about the name. I know of some families who don’t let their kids “date,” but allow their daughters to be in situations with other boys that would be tantamount to dating, but they for some reason allow it because it’s not called dating and because “we know their family,” as if that makes concupiscence and passion any less intense! Here’s my point (1) Courting, traditionally, had nothing to do with how a liaison was arranged (with family or without) but concerned itself rather with paying a visit to a lady at her court (2) These courts were rampant places of immorality. Therefore, we ought to not be all excited about saying we prefer “courting” to dating. However, courting later did come to take on a more respectable tone: paying a lady a visit in her home (i.e., her court), presumably in the presence of her family, with a stated or unstated romantic intention. Talking with my grandmother, however, (who is now 90 years old), I am told that even in the old days among traditional families (mine was Sicilian Catholic), it was still common place for the boy and girl to go off alone. The boy might pay the girl a visit at her home, spend a little bit of time chatting with the family, then take the girl off for a picnic, bicycle ride, walk in the woods or boat ride. This modern idea that a boy and a girl who are interested in each other never spend any time alone is (a) not historical or traditional at all (b) stifling to any real intent of getting to know the other. Parents along time ago knew that for a boy to get to know a girl, they needed the opportunity to get to know each other one on one. Therefore, the emphasis wasn’t on whether time was spent alone or not, but whether the two were put into any compromising positions. Therefore, though the two would be left alone, it would be outdoors, in public, etc., places where they could talk freely but would not be able to act on any temptation. I know two people definitely intent on fornicating cannot really be stopped – there is always a way to sneak off into the woods or go into a Port-a-Potty, like they used to do when I was in Basic Training, but the basic idea is sound: two persons together in a boat or on a walk in the park are much less likely to think about any shenanigans than two persons alone in a bedroom. That would have never been permitted nor do I think it should be. Interestingly enough, the term dating first comes from the Victorian era (around 1898), a period of much stricter morals than the late Renaissance. Dating had an innocuous meaning originally: simply having a date or appointment set with someone. Therefore, if we are going to look at the eras that the terms dating and courtship came out of, I think dating had a much more wholesome and moral bent to it, since Victorian manners (on a whole) were much more moral and reserved than late Renaissance French morality. But this again just has to do with terminology, which is not the entirety of the argument at all. Dating, of course, has a bad name because it is at the end of the Victorian era that the automobile enters the picture and the date is transformed, with all the silliness about “Make Out Point” and that kind of thing. Like it or not, the automobile is now a factor in romantic liaisons, though it need not have the sinister connotation that it sometimes does. Therefore, how should a Catholic boy go about in his relations with his female prospect? I’m going to try to be as systematic as I can in this, but because this is such a weighty topic, I’m going to take it for granted that the boy is of age to drive. If he’s not, he probably shouldn’t be worrying about it yet (although, traditionally boys were considered of marital age around 16 or 17. Therefore, let’s not push back dating/courtship until age 20 and pretend like we are being traditional. We might be being prudent, but let’s not deceive ourselves and say that is traditional. If we were really following tradition, we’d be giving our daughters in marriage at age 15). The discernment process has always been whether or not to get married, not to whom one gets married. That is, in the Middle Ages and beyond there is a great focus in spiritual writings on discerning whether you are called to celibacy or the married state. But once one discerns they are called to the married life, there is almost nothing like we see nowadays about “figuring out who God wants you to marry.” There is a lot written, however, about how to best “pick” your spouse. That is to say, the choice of a spouse was not seen as a matter of God’s will but as a matter of human prudence, much like picking a good house or picking a good piece of fruit from the market. Love was never seen to be the basis for a marriage, though it was sought after to arise after the fact by mutual affection and sharing of a common life. The woman (or man) who married simply out of love was considered a fool, and there are no records that I know of any person being taught to ask who God wanted them to marry. It was seen as something that a person was supposed to use their human judgment (common sense) on and not try to be all vocationally oriented with. A man chose a wife based on several factors, and once the marriage was consummated, love was seen to be a worthy thing that could grow on the basis of that union, but it was not deemed essential. My RCIA classes always marvel when we get to the class on the Sacrament of Matrimony and they see that “love” is not required for either the form or matter of the sacrament. But I want to stress this: the “discernment” came when you decided whether or not to be married at all. That is because, of course, there used to be a great emphasis on the superiority of the celibate state. However, nowadays, pop-Catholic culture would have everybody spend as much time discerning their spouse as they would the question of whether or not to remain celibate. This is because in the past 40 years, marriage has been stressed more and more as a “vocation,” or a calling. This has always been admitted, but the emphasis was different before. In the past, there was those called to virginity, and then there was everybody else. Nobody spoke of being “called” to marriage – marriage was referred to, with virginity, as a “state in life”; i.e., a state that you may find yourself in, not necessarily some heavenly calling. Obviously God has a will for everybody, and you are fulfilling that will to the extent that you conform to God’s design for your life. Therefore, God has a will or a call as to what career I should pursue in life, for example. But people don’t usually refer to their jobs as “callings” in the religious sense. God has a will for everything we do, but we don’t always apply the words “calling” and “vocation” to them. I think in the modern Church, because of the drastic decline in consecrated virginity, people are over-anxious to apply the terms “vocation,” “discernment” and “calling” to other endeavors besides consecrated virginity, in an attempt to make it seem like everybody is still seeking God’s will even though there are a drastic reduction in vocations. God, however, has not stopped calling people – but people have stopped listening. But that is a digression. So, what criterion does one use to pick a good spouse? Traditionally, the pick of a spouse was foremost an economic decision, and I don’t think this was an entirely bad idea. Economics are very important in marriage, and a home is more likely to be happy if it was financially stable. Therefore, a bachelor might look for qualities in a woman that would lead him to believe she could help him establish a financially secure home. Did she have good work habits? How did she bear up under trials? Was she patient? In some cases, did she have strong arms and a sturdy back? Because a husband wanted his wife to be respectable as well, she had to be of solid moral character: Was she devout? Was she loyal? Would she make a good mother? Therefore, the husband did not so much choose a wife because of an intense love or a desire to do God’s will, but of practical considerations based on what the addition of the wife to the husband’s household would bring to the family collectively; children, financial security, a pious atmosphere and respectability. Of course, all men wanted their wives to be attractive. Attraction is the basis for all of these things, and it was the most fundamental type of desire from which true love could grow. After a man secured a wife who would fulfill all of these requirements, he was considered happy and blessed if, in time, he came to truly love her and she him. But love was seen as secondary and in the end non-essential. It was an ideal to be strived for, not a building block that everybody felt like they had to have to get started. To some sense, I applied these principles in my own life when I was dating my wife, though I was only 19 and still pretty ignorant. When I was dating my own wife, I looked at her and admired certain qualities about her: her fidelity, joy, industriousness, beauty and virtue. Therefore, based on these factors, I approached her and informed her that I thought we ought to get married. It is kind of amusing: I never asked her to marry me, nor did she ask me, nor did I ever ask permission from her father. If I could do it over, I would no doubt do so. But at the same time, there is a simple logic in the way I went about it: I simply approached her like it was a mathematical formula and said, “Based on X, Y, and Z factors I think we are a good match and ought to get married.” And she agreed (she was young and ignorant, too: only about 18 – that’s the only reason she agreed to marry me!). That brings up another point: if you are trying to discern whom you should marry, the worst time to do that is while you are already dating them. How can a person make an objective judgment about this when they are already emotionally involved with another person? Just like in college, guys who joined the pre-Theologate program were forbidden from having girlfriends. The reason was obvious – one has a hard time hearing a call to the priesthood if you have a girlfriend distracting you. In the same way, you can’t figure out if you should marry a person after you are already involved with them. This is why so many people get married while they are infatuated, fail to see their partner’s flaws and then accuse them bitterly of “changing” after the marriage is complete. "Nearly all marriages, even happy ones, are mistakes: in the sense that almost certainly (in a more perfect world, or even with a little more care in this very imperfect one) both partners might be found more suitable mates. But the real soul-mate is the one you are actually married to." The last line emphasizes my thought exactly. Instead of worrying about who God wants you to pick (because you’ll never be able to be sure, and even if you are, you’ll second guess yourself as soon as things get hard and then start blaming God for your poor judgment), use the same common human prudence, enlightened by grace, that you would use if you were making any other long-term commitment. Date and marry based on this, and realize you are not marrying to make yourself happy but to make another happy and to establish a home – and in that your happiness will arise, and with it love. Is it appropriate to be alone together while you are dating? Absolutely - in controlled environments. How can you really get to know a girl if you’re sitting around with her mom and dad all the time? You can’t, and though you want to get to know the family, you’re interested in the girl, not in her family. If you do marry her, you’ll see enough of them in the future anyways (haha), so pay your visits to her, show deference and respect to the family, enjoy some family gatherings, but make sure there is time for you and her to get on alone. There’s plenty of opportunities, besides just going to Mass together: go out for coffee together, take her out to dinner, go for a walk in the park or just down her street. Until you get to know her better, probably she should meet you at these places and drive separately (unless of course she has no car). If these are not options, a good middle ground is doing things together with her friends. This way, you are not alone with her, but neither is she in the company of her parents, and she will be freer to speak and be forthright with you in the company of her friends. Probably shouldn't spend a lot of time just driving around aimlessly, though. If you want to do something aimless, walking is a lot more wholesome than driving. I have to throw out a closing gripe here: I dislike when people presume they are following traditional morality when in reality they are pursuing novelties. I’ve said this before: withholding your child from dating until they are 18 or 19 is not traditional morality. Talking about discerning whom God wants you to marry is not traditional morality. Adhering to the novel “courting” ideal where a boy and girl spend all their time together hanging out with the family is not traditional either. I’m not saying these are bad ideas – in our society, they may be necessary to protect chastity. But let’s stop pretending that we are going back to some lost moral code with these things, because we are not. We are simply adapting to the times and slapping the “traditional morality” label on it. If we were really being traditional, the father would find a husband for the daughter with no spiritual discernment at all, would base his judgment on financial factors, would betroth the two of them and marry her off around age 16. The wife would be expected to run the husband’s household and prosper him financially, and maybe down the road they would grow to love each other. That’s tradition. I’m not saying it’s the best way, but that is the traditional way – and anything else that claims to be “traditional” is really just a novelty. Maybe a good novelty, but a novelty nonetheless. In closing: courting or dating? Doesn’t matter. Spend time alone? Sometimes, but not in imprudent circumstances. Hang out with the family constantly? If you can stomach that kind of thing. How to make your choice? Virtue, Industriousness, Beauty, Piety. Who does God want? You can’t really know – just do the best you can. These are just my opinions, and I only post them here because someone made the foolish mistake of asking me what I think!